Delivery Services start behind the scenes at Just 4 Fun Party Rentals. Our warehouse team members are tasked to pull, sort, prep, and clean your rental items before arriving at your event. In order to offer top notch delivery our trucks receive regular scheduled maintenance to ensure reliability and on-time service! Our custom booking software along with our great team of professionals gives us whats needed to make sure your order is a success from start to finish. 1.) For residential clients we deliver rentals daily by zip code 8am-5pm. We offer appointments for an additional fee. For commercial clients we delivery by appointment between 8am-5pm (you set the time). Extended hours are available to both clients on a tiered fee basis. If you said yes, you will receive a text alert 10-15 minutes before your delivery arrives. 2.) After our team arrive they will need instruction on where to place your rentals, if a plan has not been submitted then please have a definite plan ready. **Please make sure a clear path is provided and all pets are safely secured before we arrive. 3.) All rentals may be placed once without incurring additional labor charges. *If you know you will need extra labor and time you can prebook additional time, ask for details. 4.) Check all of your rental items before our team leaves. If anything is missing please notify the event manager immediately so we can properly assist you. 5.) Someone must be at the location when your rentals arrive. When you are not at the location this leads to delays in our delivery schedule which affects other customers. Please read below for common questions. I need my rentals delivered at 3pm and picked up at 5pm, what should I do? You will need a specific time appointment. If you have an appointment it will appear as a line item on your rental invoice and at the top as an Appointment under Delivery Details. *Please call our office if you need to add this service. I have an 8-11am appointment and it’s already 10am should I call? 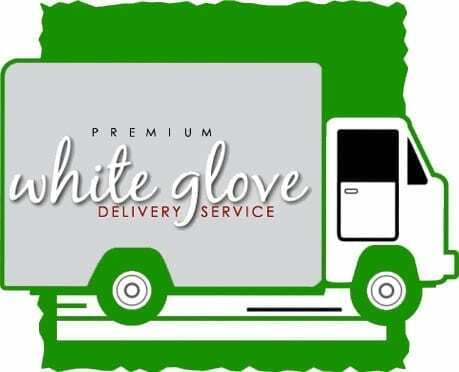 If you have a general delivery appointment do not worry, our staff will arrive within the time specified up until the last time on that shift. If an unforeseen emergency arises, the driver will contact you immediately. If there is an unresolved issue, we will load your items into another truck if that is a faster option. Our goal is to arrive before your event time within the time specified. What if I cannot be there but my husband will be home? As long as you have signed your electronic agreement you can name anyone over 18 years old as your agent. Just have them be at the location with their ID ready. If you let us know their name and cell phone number we can include them in the text alert service. What if I want my rentals moved to another location, do you offer this service? Yes. We offer many “extra” services that cannot be simply explained on our website. Ask for details. They just texted me and I can’t get home in time. What should I do? Our staff will not wait at your home if no one is there, so it’s best to text the driver back and let them know you’re not home. There is a chance they can head to the next delivery without issue, however if they arrive and you’re not home this could create and even larger logistical problem for us. *Keep in mind there is a re-delivery fee, if that fee can be avoided at all, we appreciate any effort on your part. No one will be there what can we do? If you do not have anyone that can be at the event location, we offer Event Assistants who can accept your items on your behalf (this must be pre-ordered). Event Assistants can accept rentals, set-up decorations, set tables, greet guests and perform other minor event activities. *Event assistants are not a replacement for a wedding coordinator. I’m not sure where to put the tables & chairs? We can suggest a layout via google earth for small parties at no charge, but it must be done at least one week prior to your event. For larger events we offer a planning service (ask for details). *We offer product placement once with your appointment, so be sure you have a plan or ask us for help before your event. Oh no! I forgot a table, linen, chair, umbrellas, etc. Notify your event manager on-site if you forgot to order something, we will do our best to get the items to you (keep in mind this is not a free service). If the truck has already left please text 805-284-1615, they will try to accommodate your request. What should I do with the linens? Please leave all linens on the tables, unless it’s raining. *Do not put linens in garbage bags or plastic bags this will ruin the linens and you will be charged the replacement value. Can I leave the tables and chairs or should we stack them? Please leave all items in place, unless it is raining. Does the popcorn machine need to be cleaned before we return it? You do not need to clean any of our concession machines. What should we do with the charcoal from the BBQ? Please put out the fire only, you do not need to clean the BBQ. What do we do with the dishes? Dishes do require attention. They need to be rinsed or wiped with a damp cloth to remove all food residue. If you or your catering company fail to do this step, the labor will be added to your final invoice. *You can pre-add dish washing to your invoice by asking for this premium service.